Directions: In this section, you are going to read a passage with ten statements attached to it. Each statement contains information given in one of the paragraphs. Identify the paragraph from which the information is derived. You may choose a paragraph more than once. Each paragraph is marked with a letter Answer the questions by marking the corresponding letter on Answer Sheet 2. A) Today, it is not distance, but culture that separates the peoples of the world. The central question of our time may be how to deal with cultural differences. So begins the book, Endangered Peoples, by Art Davidson. It is an attempt to provide understanding of the issues affecting the world's native peoples. This book tells the stories of 21 tribes, cultures, and cultural areas that are struggling to survive. It tells each story through the voice of a member of the tribe .Mr. Davidson recorded their words. Art Wolfe and John Isaac took pictures of them. The organization called the Sierra Club published the book. B) The native groups live far apart in North America or South America, Africa or Asia. Yet their situations are similar. They are fighting the march of progress in an effort to keep themselves and their cultures alive. Some of them follow ancient ways most of the time. Some follow modern ways most of the time. They have one foot in ancient world and one foot in modern world. They hope to continue to balance between these two worlds. Yet the pressures to forget their traditions and join the modern world may be too great. C) Rigoberta Menchu of Guatemala, the Nobel Peace Prize winner in 1992, offers her thoughts in the beginning of the book Endangered Peoples. She notes that many people claim that native people are like stories from the past. They are ruins that have died. She disagrees strongly. She says native communities are not remains of the past. They have a future, and they have much wisdom and richness to offer the rest of the world. D) Art Davidson traveled thousands of miles around the world while working on the book. He talked to many people to gather their thoughts and feelings. Mr. Davidson notes that their desires are the same. People want to remain themselves~ he says. They want to raise their children the way they were raised. They want their children to speak their mother tongue, their own language. They want them to have their parents' values and customs. Mr. Davidson says the people's cries are the same: "Does our culture have to die? Do we have to disappear as a people?" E) Art Davidson lived for more than 25 years among native people in the American state of Alaska. He says his interest in native peoples began his boyhood when he found an ancient stone arrowhead. The arrowhead was used as a weapon to hunt food. The hunter was an American Indian, long dead. Mr. Davidson realized then that Indians had lived in the state of Colorado, right where he was standing. And it was then, he says, that he first wondered: "Where are they? Where did they go? "He found answers to his early question. Many of the native peoples had disappeared. They were forced off their lands. Or they were killed in battle. Or they died from diseases brought by new settlers. Other native peoples remained, but they had to fight to survive the pressures of the modern world. F) The Gwich'in are an example of the survivors. They have lived in what is now Alaska and Canada for 10,000 years. Now about 5,000 Gwich'in remain. They are mainly hunters. They hunt the caribou, a large deer with big horns that travels across the huge spaces of the far north. For centuries, they have used all parts of the caribou: the meat for food, the skins for clothes, the bones for tools. Hunting caribou is the way of life of the Gwich'in. G) One Gwich'in told Art Davidson of memories from his childhood. It was a time when the tribe lived quietly in its own corner of the world. He spoke to Mr. Davidson in these words: "As long as I can remember, someone would sit by a fire on the hilltop every spring and autumn. His job was to look for caribou. If he saw a caribou, he would wave his arms or he would make his fire to give off more smoke. Then the village would come to life! People ran up to the hilltop. The tribes seemed to be at its best at these gatherings. We were all filled with happiness and sharing!" H) About ten years ago, the modern world invaded the quiet world of the Gwich' in. Oil companies wanted to drill for oil in the Arctic National Wildlife Preserve. This area was the please where the caribou gave birth to their young. The Gwich'in feared the caribou would disappear. One Gwich' in woman describes the situation in these words: "Oil development threatens the caribou. If the caribou are threatened, then the people are threatened. Oil company official and American lawmakers do not seem to understand. They do not come into our homes and share our food. They have never tried to understand the feeling expressed in our songs and our prayers. They have not seen the old people cry. Our elders have seen parts of our culture destroyed. They worry that our people may disappear forever." I) A scientist with a British oil company dismisses (驳回，打消) the fears of the Gwich'in. He also says they have no choice. They will have to change. The Gwich' in, however, are resisting. They took legal action to stop the oil companies. But they won only a temporary ban on oil development in the Arctic National Wildlife Preserve. Pressures continue on other native people, as Art Davidson describes in his book. The pressures come from expanding populations, dam projects that flood tribal lands, and political and economic conflicts threaten the culture, lands, and lives of such groups as the Quechua of Peru, the Malagasy of Madagascar and the Ainu of Japan. J) The organization called Cultural Survival has been in existence for 22 years. It tries to protect the rights and cultures of peoples throughout the world. It has about 12,000 members. And it receives help from a large number of students who work without pay. Theodore MacDonald is director of the Cultural Survival Research Center. He says the organization has three main jobs. It does research and publishes information. It works with native people directly. And it creates markets for goods produced by native communities. K) Late last year, Cultural Survival published a book called State of the Peoples: a Global Human Rights Report on Societies in Danger. The book contains reports from researchers who work for Cultural Survival, from experts on native peoples, and from native peoples themselves. The book describes the conditions of different native and minority groups. It includes longer reports about several threatened societies, including the Penan of Malaysia and the Anishina be of North American. And it provides the names of organizations similar to Cultural Survival for activists, researchers and the press. L) David May bury-Lewis started the Cultural Survival organization. Mr. May bury-Lewis believes powerful groups rob native peoples of their lives, lands, or resources. About 6,000 groups are left in the world. A native group is one that has its own langue. It has a long-term link to a homeland. And it has governed itself. Theodore MacDonald says Cultural Survival works to protect the rights of groups, not just individual people. He says the organization would like to develop a system of early warnings when these rights are threatened .Mr. MacDonald notes that conflicts between different groups within a country have been going on forever and will continue. Such conflicts, he says, cannot be prevented. But they do not have to become violent. What Cultural Survival wants is to help set up methods that lead to peaceful negotiations of traditional differences. These methods, he says, are a lot less costly than war. 46. Rigoberta Menchu, the Nobel Peace Prize winner in 1992, writes preface for the book Endangered Peoples. 47. The book Endangered Peoples contents not only words, but also pictures. 48. Art Davidson's initial interest in native people was aroused by an ancient stone arrowhead he found in his childhood, which was once used by an American Indian hunter. 49. The native groups are trying very hard to balance between the ancient world and the modern world. 50. By talking with them, Art Davidson finds that the native people throughout the world desire to remain themselves. 51. Most of the Gwich'in are hunters, who live on hunting caribou. 52. Cultural Survival is an organization which aims at protecting the rights and cultures of peoples throughout the world. 53. According to Theodore MacDonald, the Cultural Survival organization .would like to develop a system of early warnings when a society's rights are to be violated. 54. The book State of the Peoples: a Global Human Rights Report on Societies in Danger describes the conditions of different native and minority groups. 49. The native groups are trying very hard to balance between the ancient world and the modem world. 53. According to Theodore MacDonald, the Cultural Survival organization would like to develop a system of early warnings when a society's rights are to be violated. it should drive the caribou away. Directions：In this section，you are going to read a passage with ten statements attached to it.Each statement contains information given in one of the paragraphs.Identify the paragraph from which the information is derived.You may choose a paragraph more than once.Each paragraph is marked with a letter. Answer the questions by marking the corresponding letter on Answer Sheet 2. A)You’re driving your car home from work or sch001.And something goes wron9.The engine stalls out at lights，holds back as you go to pass.It needs a tune up and soon.Where do you go? The library.You can take out an auto repair manual that tells step by step how to tune up your make and model.Or your tennis game has fallen off.You’ve lost your touch at the net.Where do you go? The library for a few books on improving your tennis form. B)“The library!”you say.“That’s where my teacher sends me to dough homework. "Unfortunately, I’ve found that’s exactly the way many people feel.If you’re among them.you’re denying yourself the easiest way to improve yourself, enjoy yourself and even cope with life.My first suggestion for making the most of your library is to do what I did，read and read and read.For pleasure——and for understanding. C)If it’s TV that keeps you from cultivating this delicious habit，I can offer a sure remedy.Take home from the library a stack of books that might look interestin9.Pile them on the TV set.Next time you are tempted to turn on a program you really don’t want to see，reach for a book instead. D)Over the years，people collect a mental list of books they mean to read.If you don’t have such a list，here is the suggestion.Take from the library some of the books you might have enjoyed dramatized on TV, like Remargue’s All Quiet on the Western Front，Clavell’s Shegun，Tolkien’s The Hobbit，or Victor Hugo’s Les Mise Rables.If you like what you read、you can follow up with other satisfying books by the same authors. E)Some people in their reading limit themselves to current talked—about best sellers.Oh，what they miss! The library is full of yesterday’s best sellers;and they still make compelling reading today. Some that I've enjoyed：A.B.Guthrie’s The Big Sky，Carl Van Doren’s Benjamin Franklin，Mari Sandoz’s.Old Jules，and Norman Mailer’s The Naked and the Dead. F) How do you find these or any other books you’re looking for? It’s easy—with the card catalog. Every time I go to the library——and I go more than once a week——I invariably make a beeline to the card catalog before anything else.It’s the nucleus of any public library.The card catalog lists every book in the library by：1.author;2.title;3.subject.Let’s pick an interesting subject to look up.I have always been fascinated by astronomy.You’ll be surprised at the wealth of material you will find under “a strong my” to draw upon.And the absorbing books you didn’t know existed on it. CAUTION：Always have a pencil and paper when you use the card catal09. CAUTION：If you take a book from the stack s to your work desk，do not try to return it to its proper place.That’s work for the experts.If you replace it incorrectly, the next seeker won’t be able to find it. H)Some of the brightest and best.informed men and women in America are the librarians who specialize in providing reference help.Introduce yourself State your problem.And be amazed at how much he p you will receive.CAUTION：Don’t waste the time of this expert by asking silly questions you ought to solve yourself.Save the reference librarian for the really big ones. I) You shot：ld also learn to use the Reader's Guide to Periodical Literature.This green—bound index is me of the most useful items in any library.It indexes all the articles in the major magazines，including newspaper magazine supplements.Thus it provides a guide to the very latest expert information of any subject that interests you.So if you want to do a really first—class job，find out which magazines your library subscribes to，then consult the Reader's Guide and track down recent articles on your subject.When you use this wonderful tool effectively, you show the mark of a real scholar. J) Since you can take most books home，but not magazines，take full notes when using the latter. Many libraries today provide a reprographic machine that can quickly copy pages you need from magazines and books.Ask about it：If you are working on a project of some size which will require repeated library visits，keep a small notebook in which you record the identification numbers of the books you will be using frequently.This will save you valuable time，because you won’t have to consult the card catalog or search aimlessly through the stacks each time you visit for material you seek.Sol fie of the very best books in any library are the reference books，which may not be taken home.Learn what topics they cover and how best to use them，for these books are wonderful repositories (储藏室、资料库)of human knowledge. 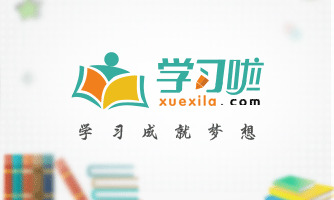 K) Your library can give you help on any subject.It can even be your business and legal advisor.How many times have you scratched your head over how to get a tax rebate(折扣)on your summer job? You，11 find guides to that.Want to defend yourself in traffic coup? Find out how in legal books at the library. 1.What are your roots? Trace your ancestors.Many libraries specialize in genealogy. 2.Did George Washington sleep nearby? Or Billy the Kid? Your library’s collection of local history books can put you on the trail. 3.Cook a Polynesian feast.Or an ancient Roman banquet.Read how in the library’s cook books. 4.Take up photography.Check the library for consumer reviews of cameras before you buy.Take out books on lightin9，composition，or darkroom techniques or—you name it! M)If you haven，t detected by now my enthusiasm for libraries，let me offer two personal notes.I'm particularly pleased that in recent years two beautiful libraries have been named after me：a small community library in Quakertown，Pennsylvania，and the huge research library located at the University of Northern Colorado in Greeley.And I like libraries so much that I married a librarian. 46.The nucleus of any public library is the car，d catalog. 47.Yesterday’s best sellers are still good for readin9，which shouldn’t be overlooked. 49.The Reader，s Guide is a green—bound index which provides a guide to very latest expert information of any subject that interests readers. 50.The sure remedy to kick the TV habit is to take home from the library interesting books to read. 51.There are various kinds of fun and rewarding projects available in different libraries. 52.A notebook will help readers to record the identification numbers of the frequently used books which can’t be taken home. 53.Readers should not try to return the book taken from the stacks to their desk to its proper place. 54.When asking for help，readers are suggested not asking the reference librarians silly questions they ought to solve themselves. 55.When asking for help，readers are suggested not asking the reference librarians silly questions they ought to solve themselves. 48.The author suggests that people should go to the library for answers when things go wrong. 55.Your library not only helps your business，but also becomes your legal advisor.